A web design company is adding to its workforce and moving to new offices after celebrating a record year of business. Edit Websites Ltd, which has been based at the University of Warwick Science Park’s Blythe Valley Innovation Centre near Solihull since 2008, is planning to move to offices within the site which are nearly double their current premises. This will not only allow growth in the short-term but enable further expansion over the next few years. The ten-strong team of developers, designers, sales, accounts and support staff will also increase by two staff over the next few months. Kyle Cottington, managing director of Edit Websites, said the business continues to expand its clients all over the UK. “We have recorded our best ever year with our websites gaining interest in different sectors,” he said. “We are attracting clients who not only want high quality designs but to have that backed-up with good after-care support. “There are website providers whose support is based overseas but we have a team who provide really good support from our office near Solihull and can help straight away. “Our clients really value that and it is one of the reasons they recommend us to prospective clients. It is one of the main drivers of new business. “Our software is also very easy to set-up and organisations are not having to pay for a service every time they want to make a change to their website because they can log-in and do it for themselves but if they do need help, we are only a telephone call away. 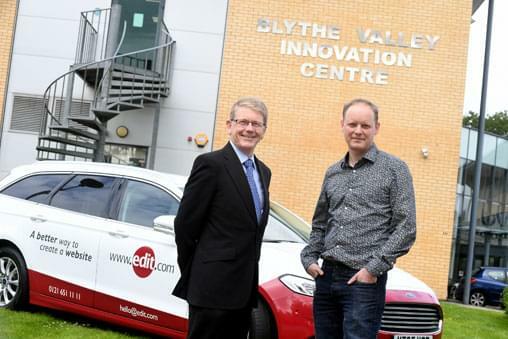 Kyle said Edit Websites is planning to move to a new office at the Blythe Valley Innovation Centre later this year after outgrowing its present office. “We have had a presence on the Blythe Valley Business Park since 2008 and moving to a larger office in the Innovation Centre will mean we can expand and continue to enjoy the benefits of being based on the site and part of the Science Park,” he said.